The Federal Reserve didn’t instill much confidence in the capital markets after results from a survey of central bank respondents revealed that gross domestic product is expected to slow to a 2.33 percent rate of growth this year after initially forecasting 2.44 in January. The 2.33 GDP growth reading is also lower than that of the current growth rate of 3.1 during the fourth quarter of 2018. Things aren’t looking much better for 2020 as survey respondents are expecting GDP to grow under 2 percent. The reason for the lower reading primarily stems from slower global growth and tariffs. With the U.S. and China working to produce a permanent trade deal, this could be the trigger event to give the central bank more confidence in economic growth. On the topic of trade, the majority of respondents are expecting a U.S.-China trade deal to materialize this year. 79 percent of respondents are expecting a deal, while 2 percent foresee a new round of tariffs and 17 percent expect tariffs to continue at their current pace. Other factors could also be weighing in on the economy as the Labor Department recently said that 20,000 jobs were added in February, falling well below a Dow Jones poll of economists who were expecting 180,000. It marked the weakest month of job creation since September 2017, stoking more fears of a global economic slowdown. Could a slowdown portend to a forthcoming recession or worse, a crisis? 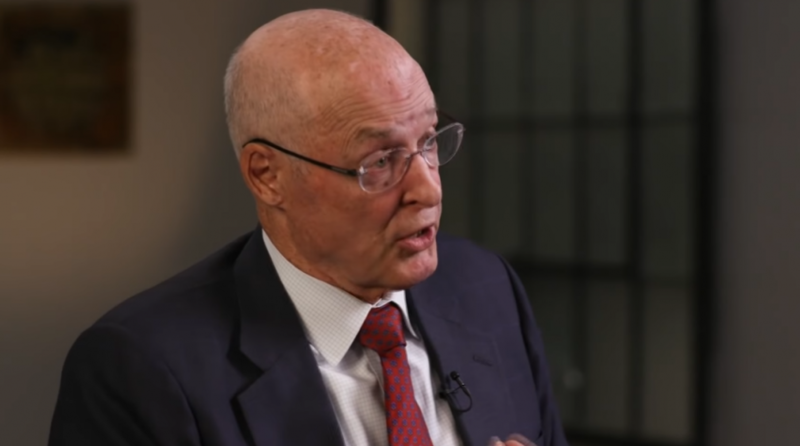 In the video below, Former U.S. Treasury Secretary Hank Paulson describes the moment he knew Lehman Brothers’ fall meant the global financial system was at risk. He also relives his conversations with congress to get emergency powers for TARP and defends the bank bailouts.